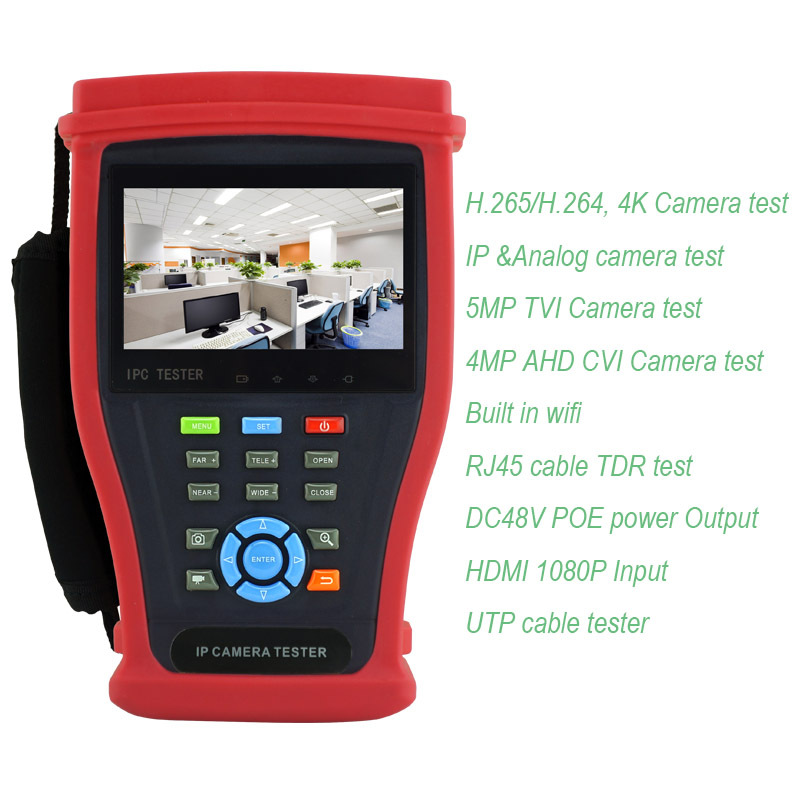 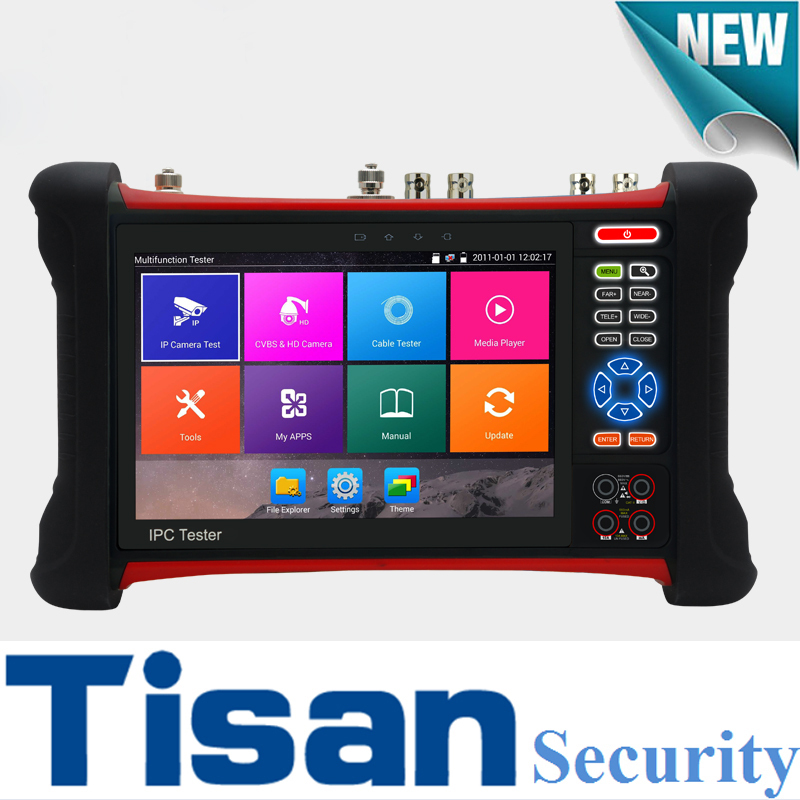 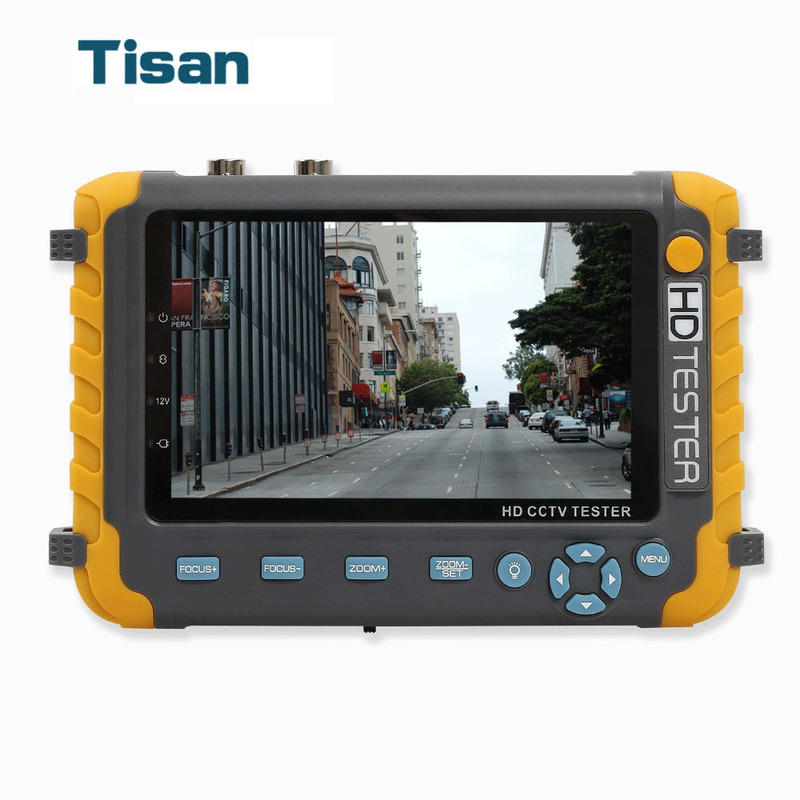 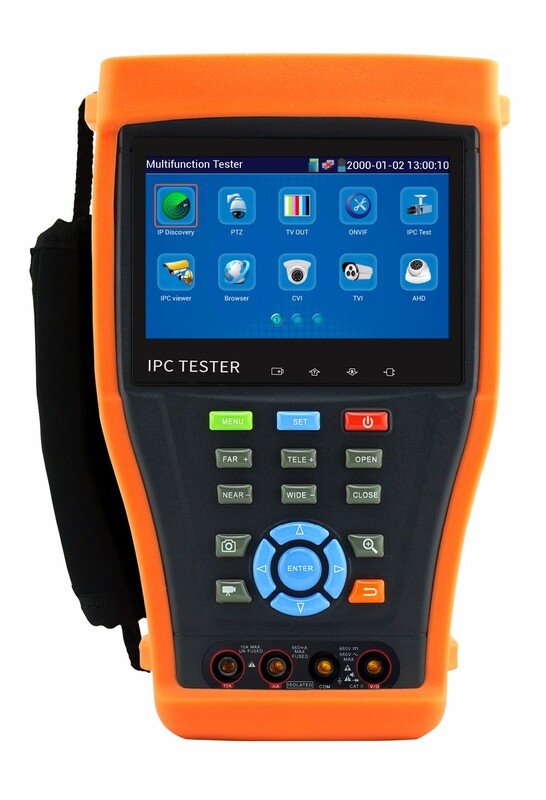 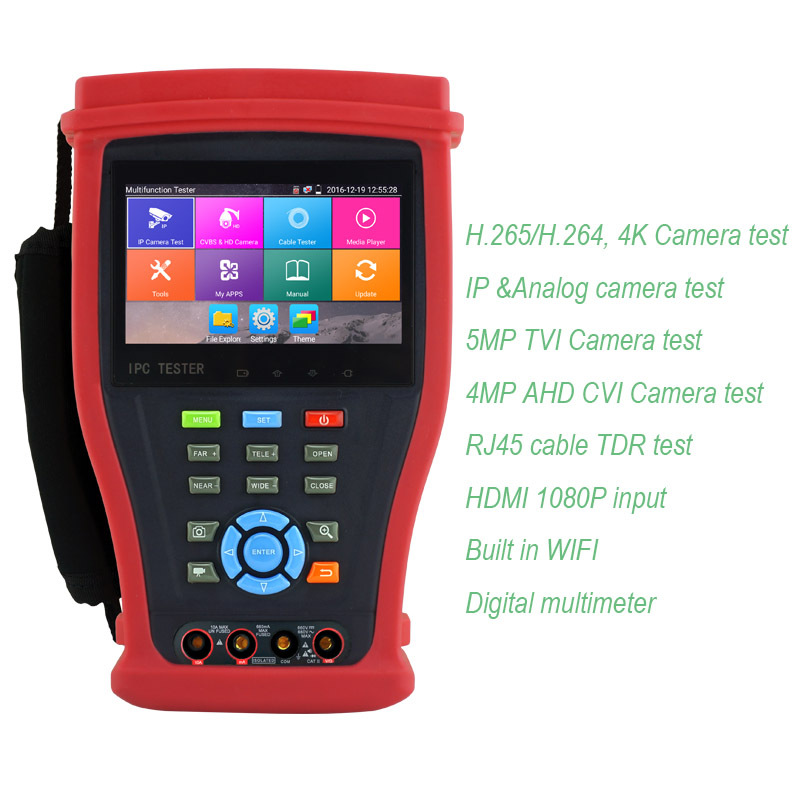 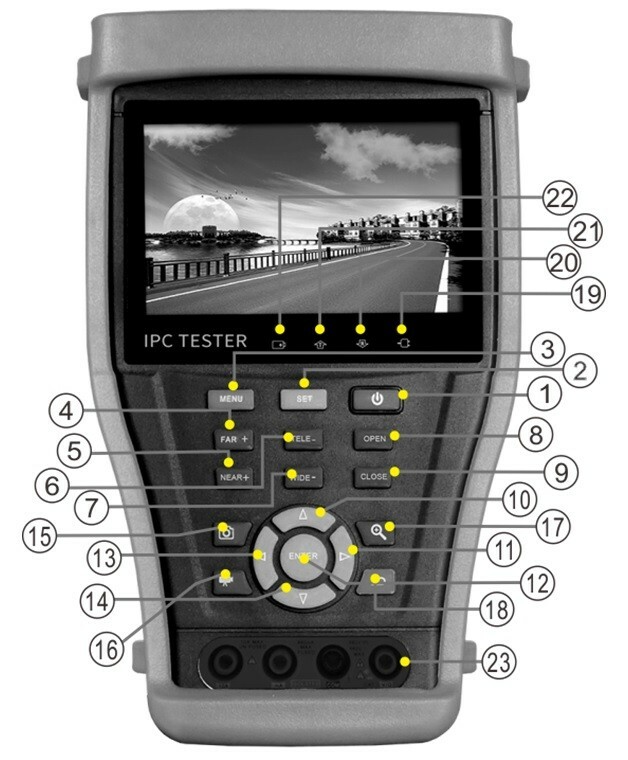 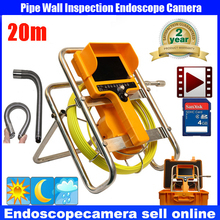 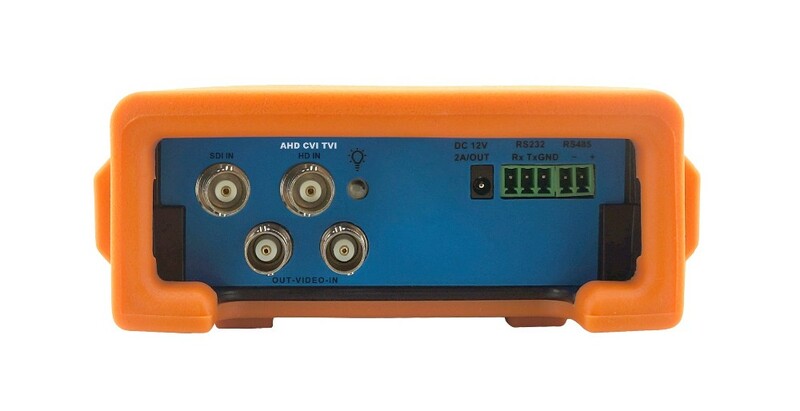 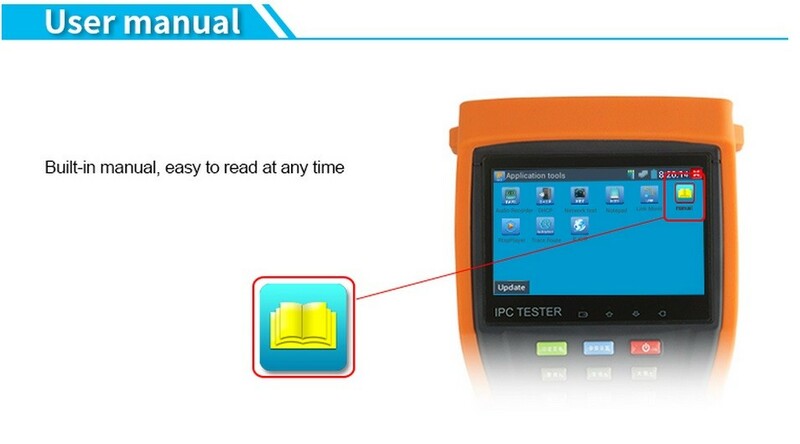 1) 4.3 inch full view capacitive touch screen, IP+ Analog +3.0TVI +AHD +CVI +TVI+Digital Multi-meter+Optical Power Meter+Visual fault locator+Cable Tracer test+HD Coaxial Tester. 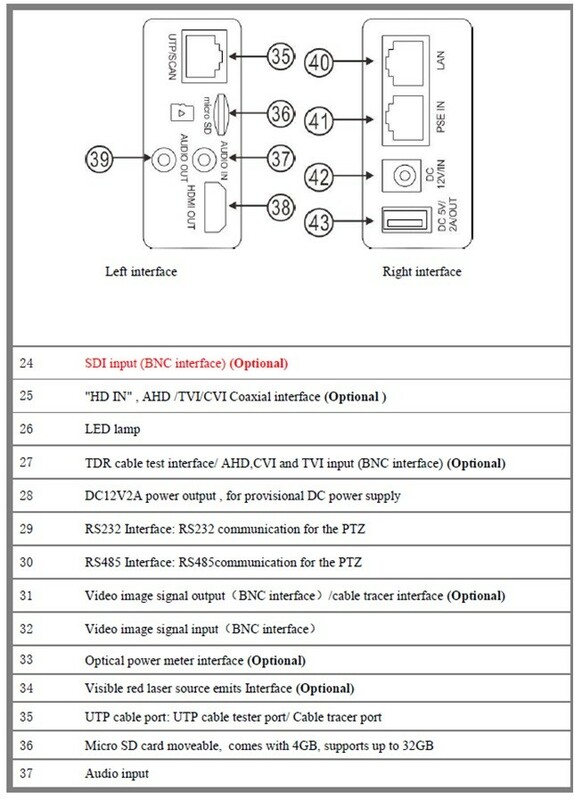 12V2A/ 5V 2A power bank / PoE power output/ HDMI out/ Built-in WIFI. 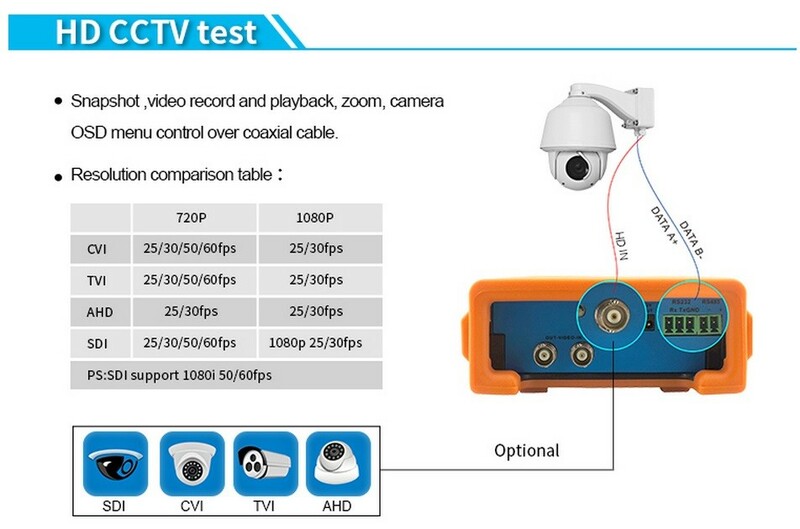 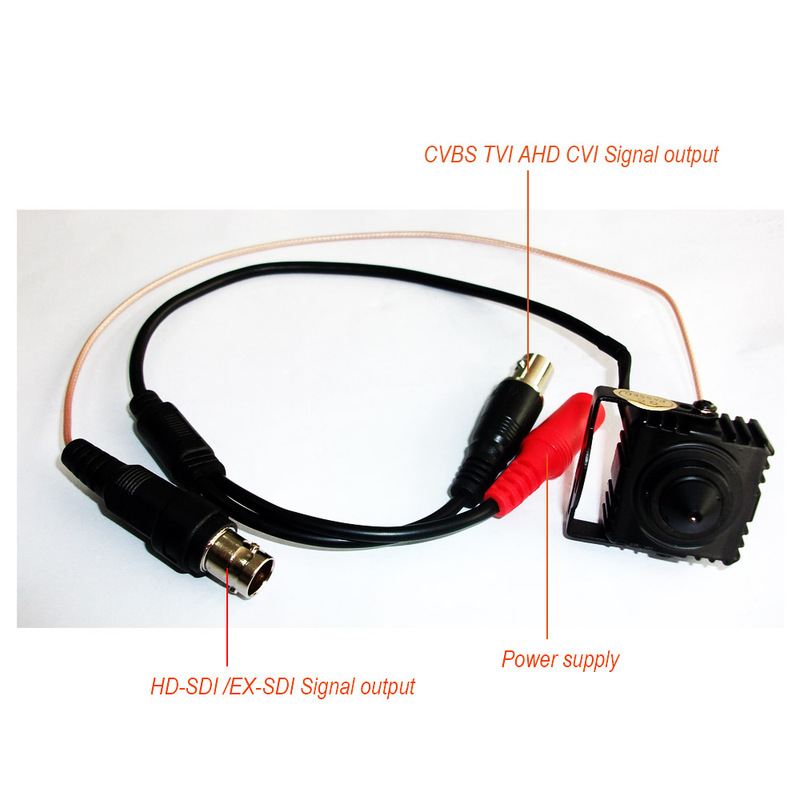 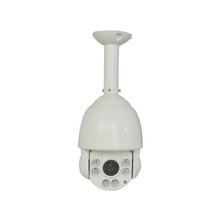 2, Compatible with H.264/MPEG4/MJPEG IP cameras, such as Dahua, HIKVISION, and ACTI Customized service is available. 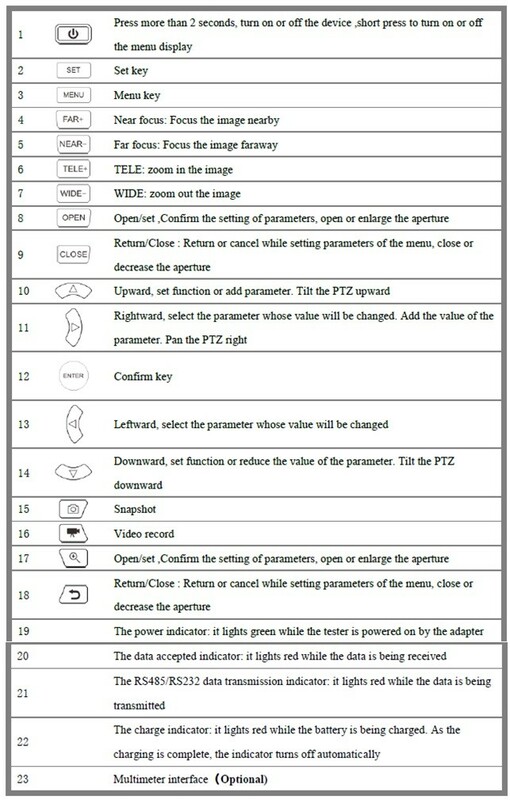 7, Video image digital zoom to view the image in greater detail. 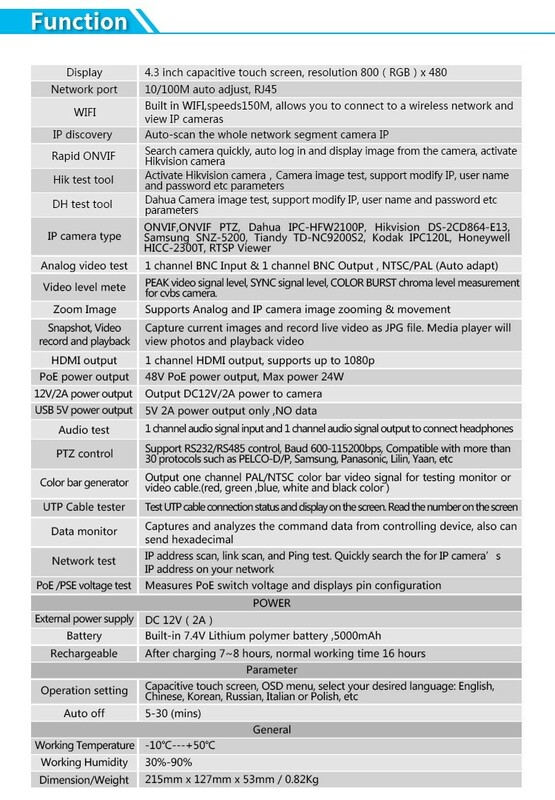 8, Snapshot function allows you to save the current image as a JPG file in the SD card. 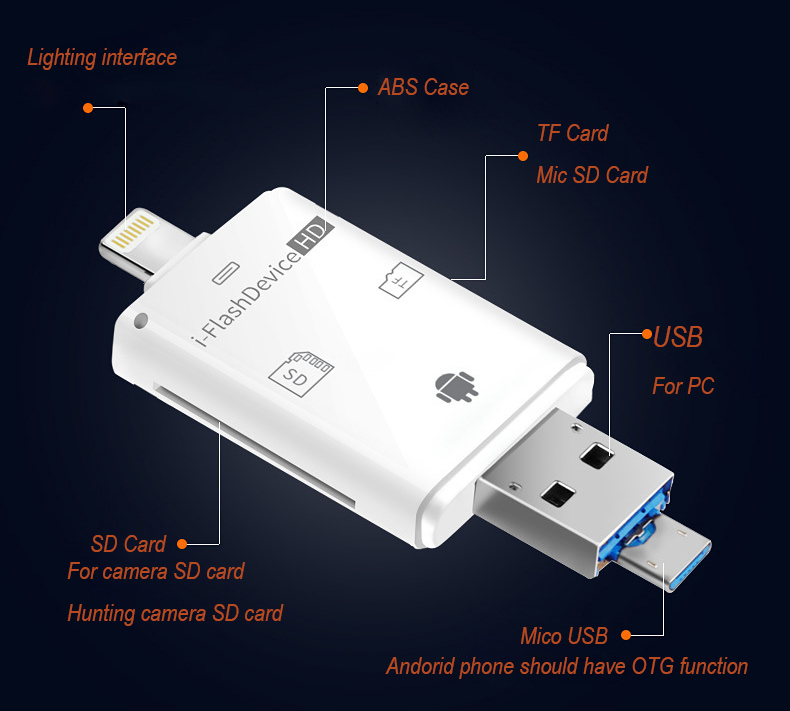 9, 4GB Micro SD card included. 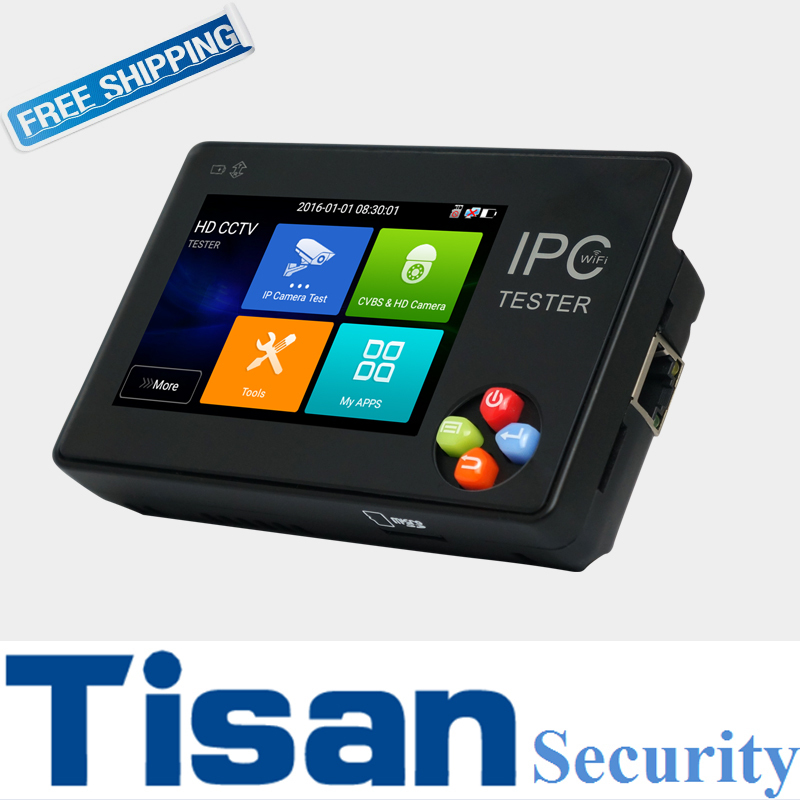 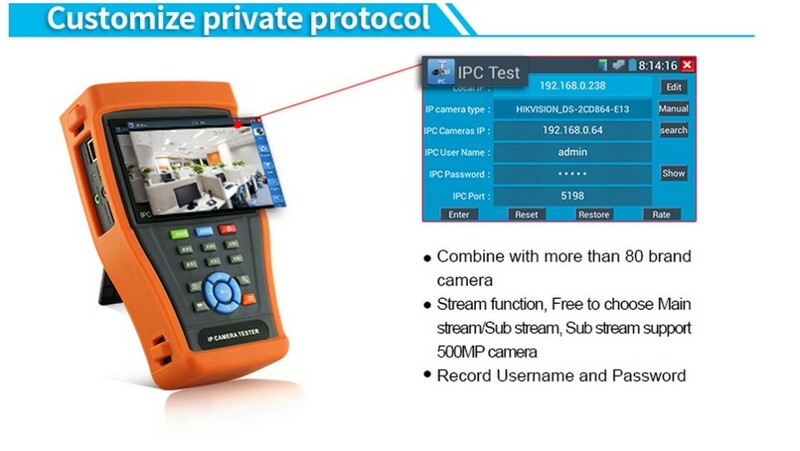 12, Ping test, PING is the most conventional network debugging tools; it is used for testing if the connected IP camera or other network equipment’s Ethernet port is working normally and the IP address is correct. 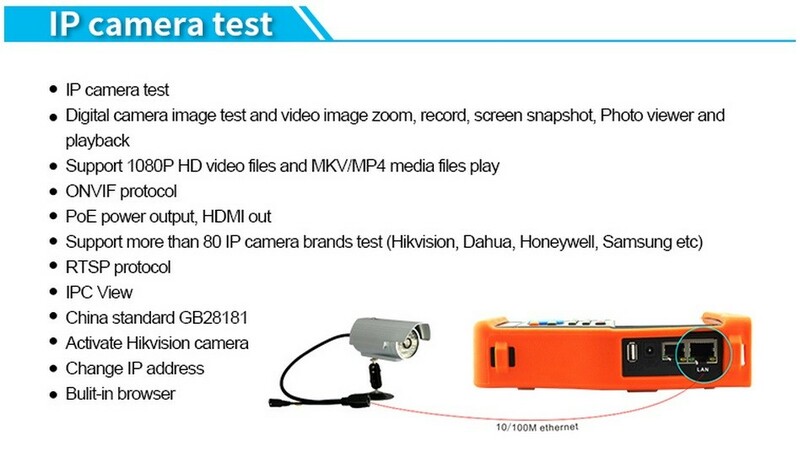 13, In digital IP surveillance applications, if the IP camera’s IP address is not known; the device cannot be used. 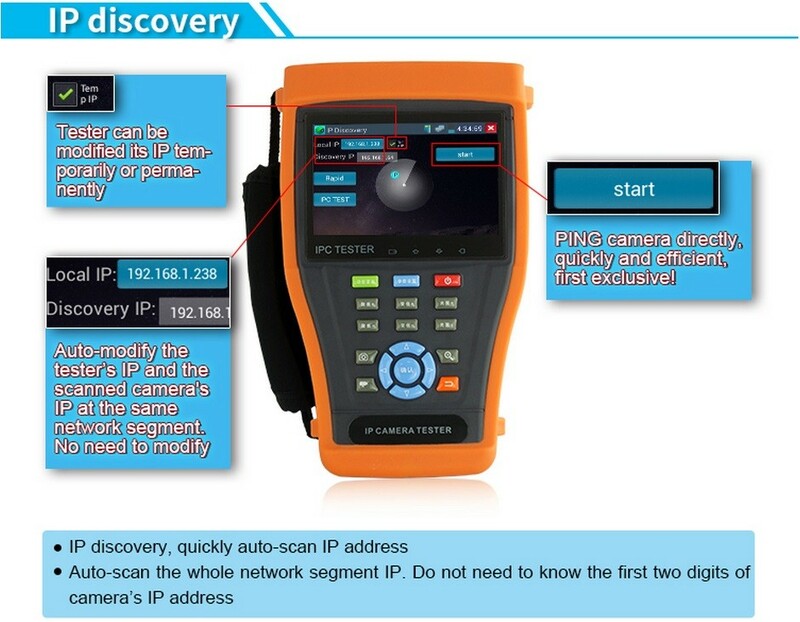 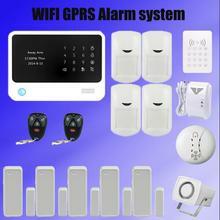 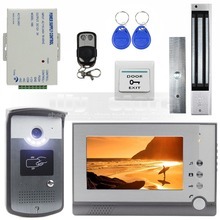 14, An IP address scan can quickly search for the connected IP camera or other network device’s IP address. 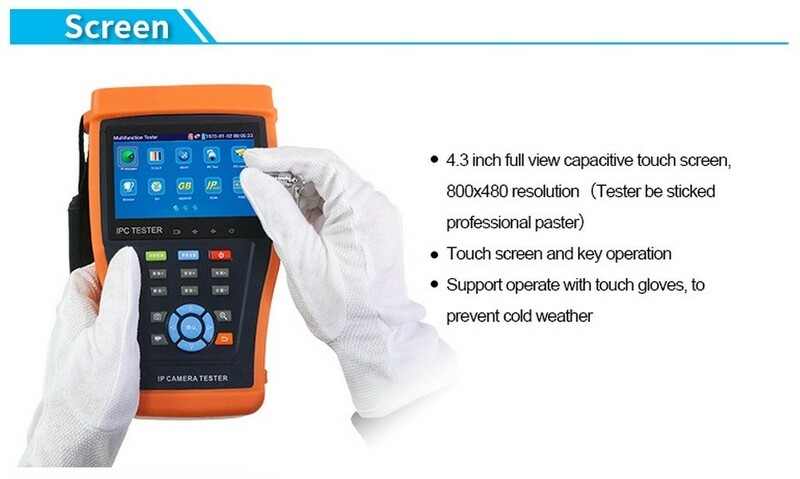 For the weight of the item is more than 2.8KG, It would be shipped by DHL or EMS, When you choose DHL shipping way, DHL might charge custom clearance fees, please confirm whether you have the clearance ablity. 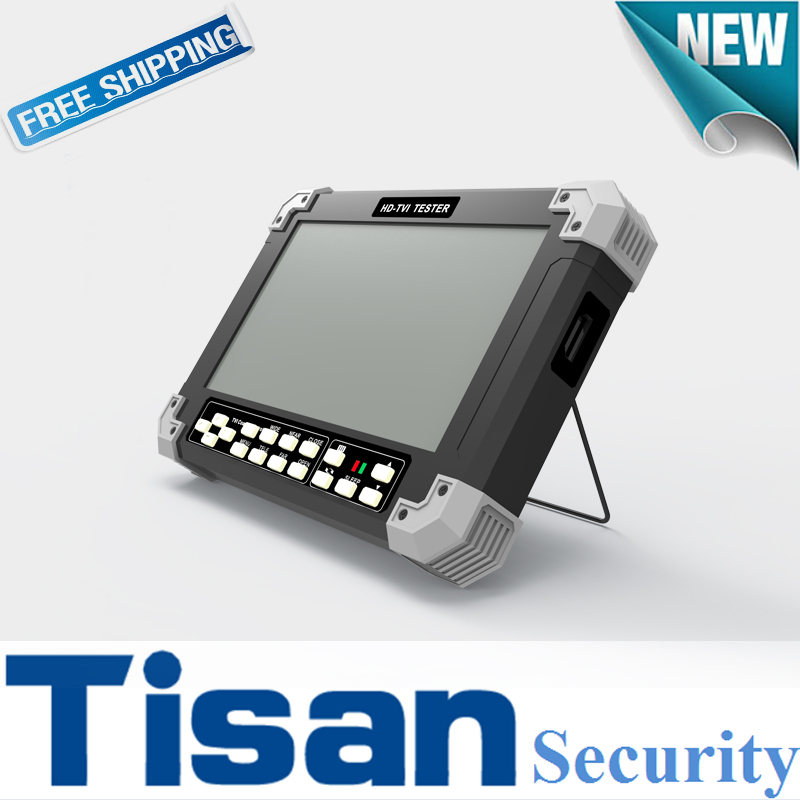 Due to customs duties ,buyers refuse to get the goods, the buyers should pay all the resulting freight. 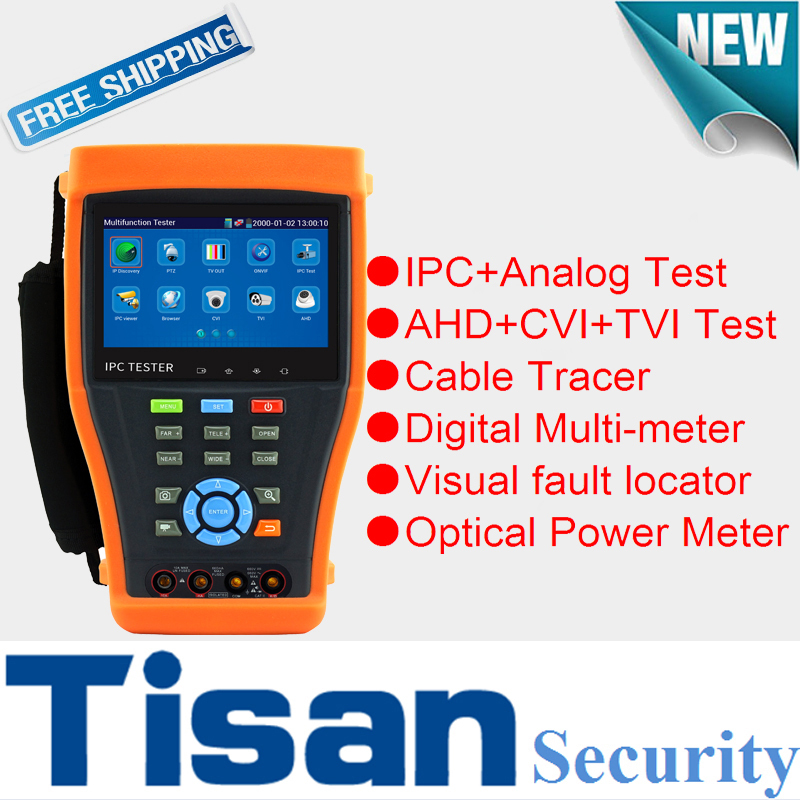 Import duties ,taxs and charges are not included in the price or shipping charges, These charges are the buyers’ responsibility, please check the custom clearance fees of your country before you place an order.